I want more out of the days I have left on this earth and I cannot get there when I paint myself as a victim, neither can you. With that understanding, I also won’t let others paint me as a victim because it keeps me stuck in the yuck-and-muck. That yuck-and-muck is only fertilizer to help me grow. The yuck-and-muck is not who I am. I am so much more than a victim. So are you! 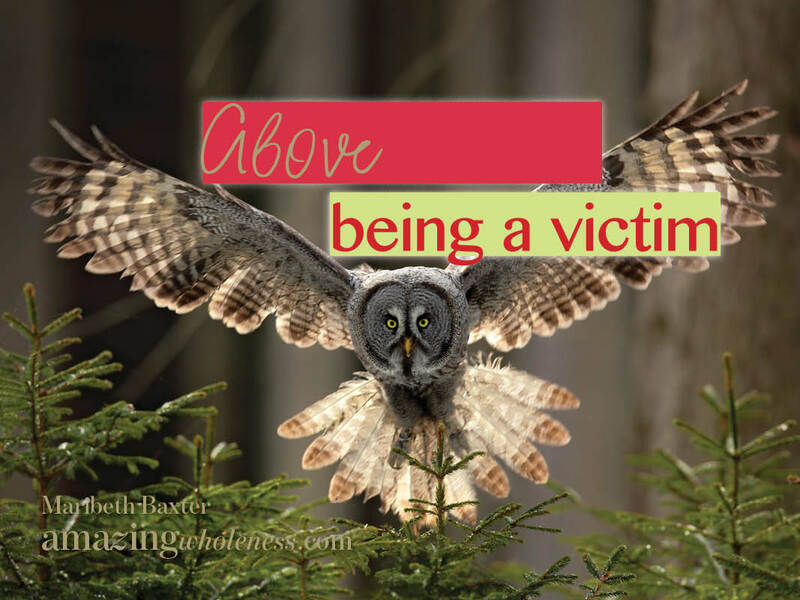 Getting above being a victim is believing that we are more than the result of our victim experience. Never in a million years did I think I would ever answer this question out loud. Feels arrogant and self-serving. Yet it is necessary for all of us to see who we are, far beyond the yuck-and-muck in our lives. The goal is to come up with an answer that is truthful, yet humbling, and without any caveots. I cannot say I am nice and then turn around and say how grumpy I am at times. Okay, I am going to give this a try. I am only allowed to list positive attributes. That is the hard part for me because I know how far from perfect I am. I have a twisted sense of humor that allows me to believe I am the funniest person I know!!!! Wow, was that hard to do. It was hard to only list positive things without speaking up about the negative aspects of who I am and what my life has presented. I am so much more than a victim, so are you. Can we begin to paint ourselves for something other than a victim so that others can see past it as well? We truly do have more to offer than what came with our victim package. My mind, my imagination, my belief system goes far beyond that. I don’t want to be held back by such limiting beliefs that I am a victim. No, I do not believe every word I listed about myself at ALL times. Yet, I do keep coming back to the fact that I am so much more than even I give myself credit for. I have the ability and when I activate the belief in myself I rise above the limitations of victimization, therefore I am so much more than the victim that has risen far above that. During chronic illness our vision of ourselves can easily get shattered. We lose control of so many things that we feel victimized, which we are in a way. Yet when we can identify who we are besides being victim of such-and-such disease, we can rise above it all. Give it a try and see what you come up with. As always, I would love for you to share it with me. Share this “homework assignment” with me and I will actually read it and respond to you. Previous post: Have you fallen in love with essential oils yet?